The 1967 Topps hockey card set is one that is often overshadowed by other sets released during the same decade, like the 1964 Tall Boys and 1966 brown-bordered Topps issues, but it does offer plenty of appeal. This 132-card set is anchored by a few second-year cards featuring Bobby Orr, one of the icons of the ice. One year after issuing his official rookie card, Topps placed Orr's image on three different key cards and all three represent the three most valuable cards in the set. These colorful cards are highly collectible, and within the set, there are a few challenges that may surprise hobbyists. In the following piece, we dig further into a set that is much more than Orr. The 1969 O-Pee-Chee Hockey Card Set – A Tough Vintage Issue for Hockey Collectors to "Check" Off Their "List"
The 1969 O-Pee-Chee hockey card set, like the 1967 Topps issue, often doesn't receive a large share of the limelight due to other classic releases that dominated the time period. This rather large 231-card set contains some terrific cards, including rookies of Hall of Fame players like Serge Savard and Tony Esposito. The issue also includes some specialty cards in the high-number series, such as All-Star cards, trophy winners and even a tribute to Gordie Howe. That said, the card that seems to pose the biggest challenge appears to be the #132 checklist card, which was the last card from the first series. In the following article, we interview the collectors who continue to chase this 45-year old issue. The Pittsburgh Steelers are one of the most storied franchises in sports. The team's history of winning has vaulted them to the top of the gridiron food chain. With six Super Bowl titles and eight AFC Championships under their belt, few football franchises can compete. In fact, the Steelers have played in 15 conference championship games to boot. You could argue, from a franchise perspective, they are the New York Yankees of football. This set, which is comprised of every Super Bowl ticket color variation from all eight appearances in the big game, contains 24 different tickets and is 100% complete. From Terry Bradshaw to Franco Harris to Ben Roethlisberger, there have been many football greats who have donned the black and gold, and the recipient for the 2013 Best Ticket Set of the Year award is the first set to reach 100% completion on the registry. Click here for a glimpse of this set. Goldin Auctions, the New Jersey based auction house has confirmed the authenticity and title of four pieces of Michael Jordan memorabilia. The auction is open for bidding through February 7, 2014 at www.GoldinAuctions.com. The New York Yankees have won 27 World Championships to date, and Cassius Clay/Muhammad Ali claimed the Heavyweight boxing title three times, each achievement a record unmatched in sports history. On Feb. 22, in New York, Heritage’s “Platinum Night” auction will sell key artifacts of each respective historic first championship to the most determined collector. Sterling Sports Auctions #29 offers over 930 lots from the four major sports, boxing and Non Sports. 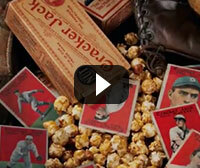 Auction features T206 O'Hara, St. Louis PSA 4, plus Ty Cobb, Christy Mathewson, Cy Young and many other Hall of Famers. Also included is a large quantity of high graded 1966 High numbers plus other high grade commons. Auction is scheduled to end Feb. 6th, initial bid MUST be in by 8pm EST to be allowed in extended bidding. 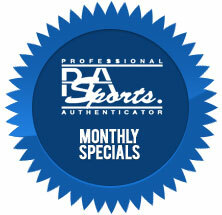 Visit www.sterlingsportsauctions.com. PSA Authorized Dealer Steve Novella (Estero, FL.) will be Breaking a High Grade (8.84 GPA) COMPLETE 1968 Topps Baseball PSA Graded Set card by card on eBay ending February 4th through February 6th. Announcing PWCC’s 2014 Premier Auction #1 is now open for bidding and closes February 17. Be sure to visit and bid today! Which of the following statements best describes what Peyton Manning has to do to be considered the best QB of all-time?